GEORGIA -- Authorities with Upson County Animal Control say two separate cases have resulted in cruelty to animal charges against local men. Eddie Reveire, Jr., 205 East Gordon Street, has been charged with animal cruelty after an Animal Control Officer and a City of Thomaston Police officer responded to a call of neglected dogs. Once on the scene, officers discovered one deceased male pit bull dog and one severely malnourished pit bulldog in the rear of the residence. According Animal Control Officer Smart Web, the deceased dog was still attached to a chain and had been dead for some time. Web says in interviews about the dogs, Reveire told the animal control officer the dog was sick and instead of taking him to the vet to see what was wrong with him he instead sought advice from his “home boys” and decided he would take a wait and see attitude. 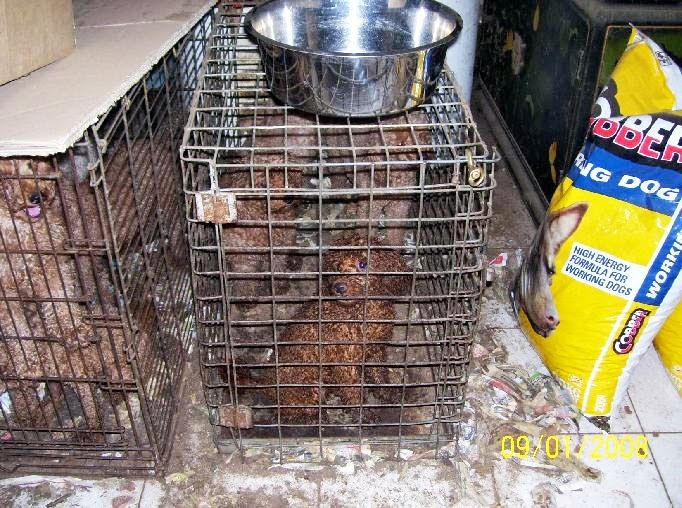 In a separate case involving animal cruelty, Web and his assistant responded to a complaint of nuisance dogs on Aviation Drive. While writing a citation at another lot, he noticed a black lab mix walking up the street. While trying to capture the dog, Web noticed a black and white dog tied in the front yard that appeared to be malnourished. Web said animal control impounded both dogs. John Sullivan, Aviation Drive, lot 30 was charged with two counts of cruelty to animals. In a written statement, Sullivan says he knew one of his dogs was dead and he had disposed of it by placing it in the dumpster. He said he didn’t know how the dog got back in the doghouse and according to Web even accused animal control of placing the dog in the doghouse. 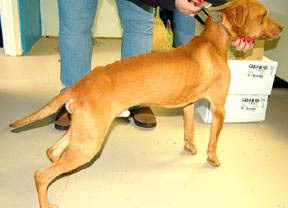 The other dog, who was severely malnourished and impounded from Sullivan's home was taken to the shelter and subsequently adopted after it was ruled he was in good health. 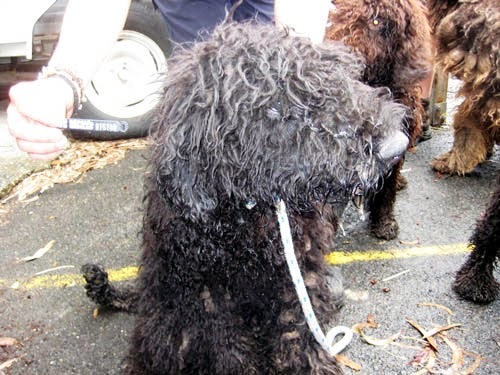 AUSTRALIA -- More than 100 dogs have been seized from a boarding and breeding kennel after the RSPCA found the animals in “appalling” conditions. RSPCA inspectors and police raided Waterford Boarding Kennels and Cattery, just south of Brisbane. Dogs on the property including pure-bred poodles, labrador pups and a pomeranian were in filthy enclosures with matted faeces and urine in their fur and maggots in their orifices. RSPCA veterinarian Anne Covill said the living conditions were "abysmal", with many dogs suffering skin inflammations and riddled with worms. The Sunday Mail was present when the RSPCA and police launched their raid armed with a warrant to enter the property. Mrs Robertson initially refused to allow the inspectors into her house and yelled that negligence claims were “vexatious” and “false”. She relented after being warned her door was about to be kicked down and she could be arrested for failing to comply with the warrant. Mrs Robertson, who maintained the dogs were well-fed and seen to regularly by a veterinarian, admitted looking after the dogs was hard work on her own. 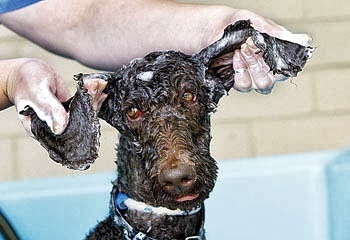 “I agree it’s too much for me,” Mrs Robertson allegedly said to inspectors. 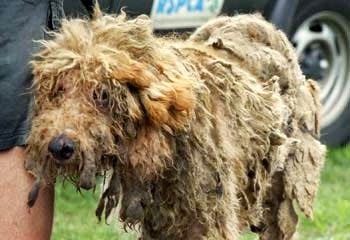 RSPCA veterinarians vaccinated and groomed the dogs and will now monitor the animals for any signs of the canine parvovirus. Inspectors are considering charging Mrs Robertson with breach of duty of care, which carries a maximum $22,500 fine or 12 months’ imprisonment. 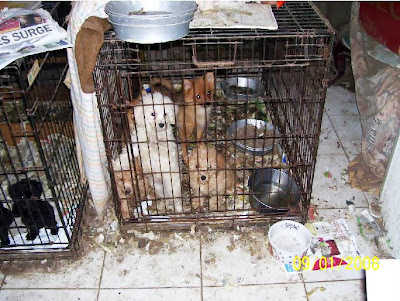 The 101 dogs seized from the Waterford property included six being boarded there by their owners, who were being contacted by the RSPCA. Eight of the dogs had been bought and were to be sent overseas. 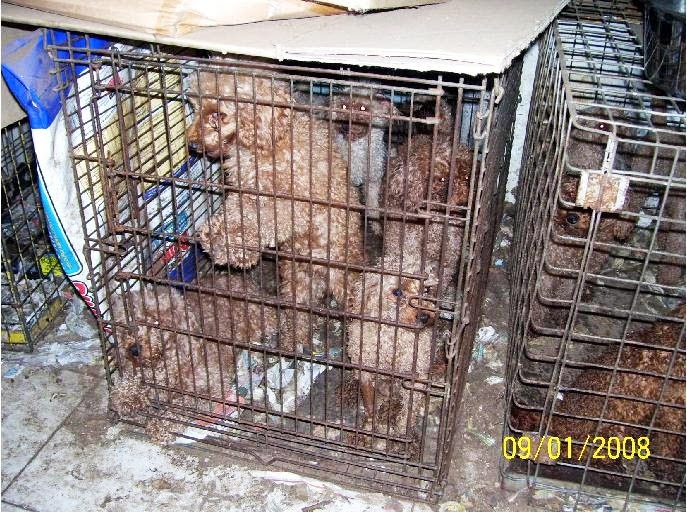 Pure-bred poodles sell for between $850 and $3000. 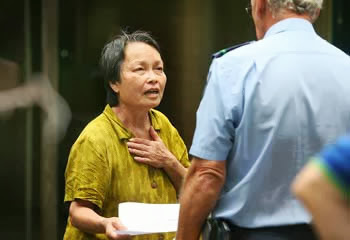 Geraldine Fooi Fong Robertson, 62, is registered with the Australian Securities and Investment Commission as the owner of the “breeding and grooming” business. A sign at the front of the 2ha property also advertises services including clipping and grooming. 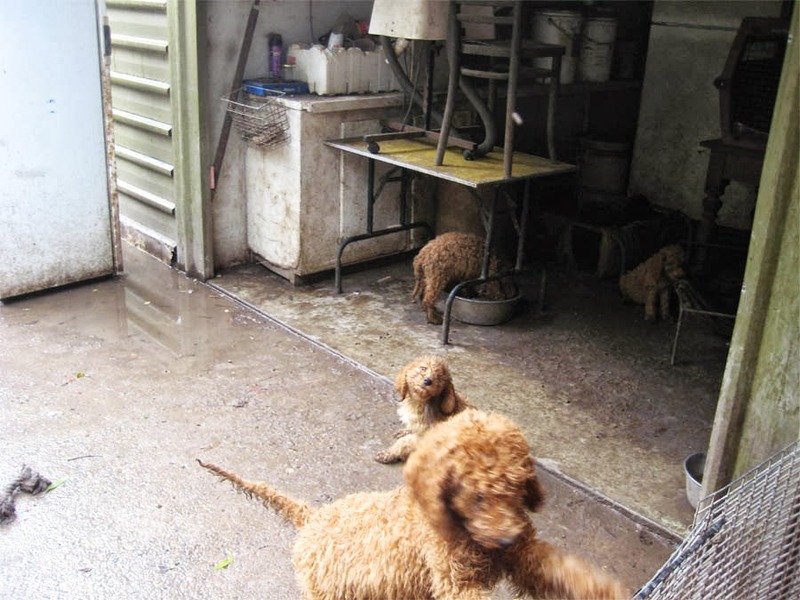 But Beaudesert Shire Council said Mrs Robertson did not hold a valid boarding kennel licence and had been given no environmental authority to conduct such a business in the shire. CANADA -- Police in the Canadian province of Alberta have charged four teenage boys with killing a cat by cooking it in a microwave oven during a recent break-in. Police allege that after breaking into a home in Camrose, near Edmonton, last month the four teens took a cat living there and cooked it inside the oven, the Canadian Broadcasting Corp. reported Sunday. Police Inspector Lee Foreman said the alleged actions of the teenagers, who range from 13 to 15 years of age, were particularly disturbing since it occurred during the holiday season. "I've been policing for over 25 years and I've never encountered anything quite like this," Foreman said. "It's very disturbing. It's especially sad given the season." The cat's owners found the animal dead inside the microwave upon returning home from their holiday travels. The CBC said the teens, none of whom are related to the home's owners, have been charged with unlawfully killing an animal, theft, and breaking and entering.